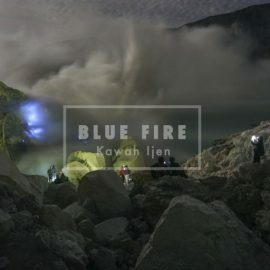 Kawah Ijen (2386 m) is an active composite volcano located within the Pleistocene Ijen Caldera (old volcanic crater), at the easternmost part of Java island. 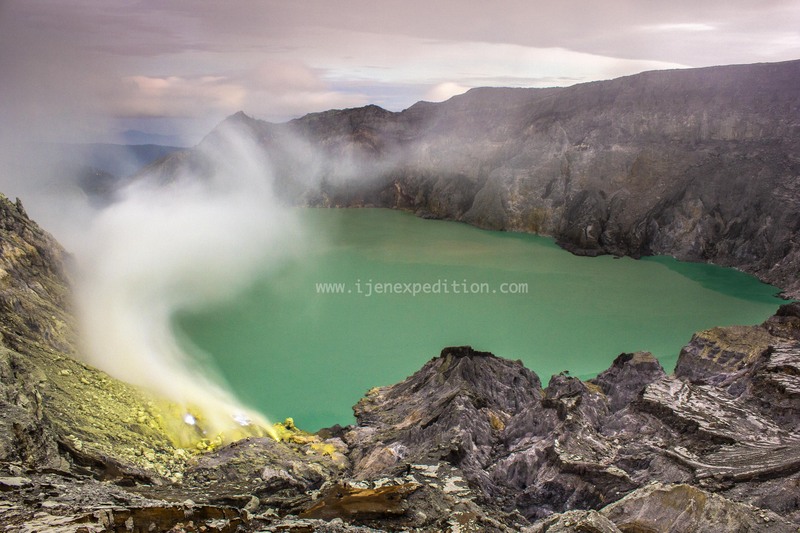 The visible superficial manifestations of the hydrothermal system of Kawah Ijen’s activity consist of the world’s largest hyperacidic lake on Earth, a few thermal discharges and crater fumaroles which produce significant amounts of native sulfur. Starting from Denpasar Airport, Kuta, Ubud, Sanur or any other places in Bali, our english speaking driver will pick you up at 6 pm, with an AC vehicle to bring you to the most western part of Bali in Gilimanuk (Ferry terminal to Java). The trip take about 4 hours. Once in Gilimanuk, the ferry ride takes 1 hour to reach Ketapang (Banyuwangi ferry terminal). Remember that Java is h-1 compared to Bali. From there, at around 12:00am we will bring you to Paltuding rest area (1-1,5 hour). The road offers a number of magic landscapes in the middle of rice fields, small villages and one one the last primary tropical rainforest left on Java island rounded by numerous volcanoes. You will mainly enjoy those sceneries on the way back during daytime. 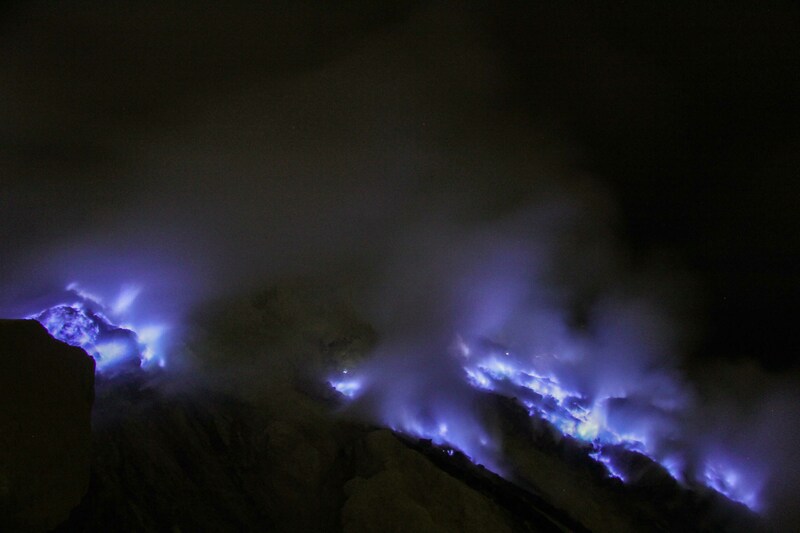 From Paltuding Area, at around 1:30am, you will start hiking to Ijen Crater. It takes about 1:30 -1:45 minutes for the 3km hike following gentle slope and slightly uphill to reach the summit. The path is pretty well maintained in good condition and other views of rounding volcanoes and luxurious vegetation will accompany your journey. 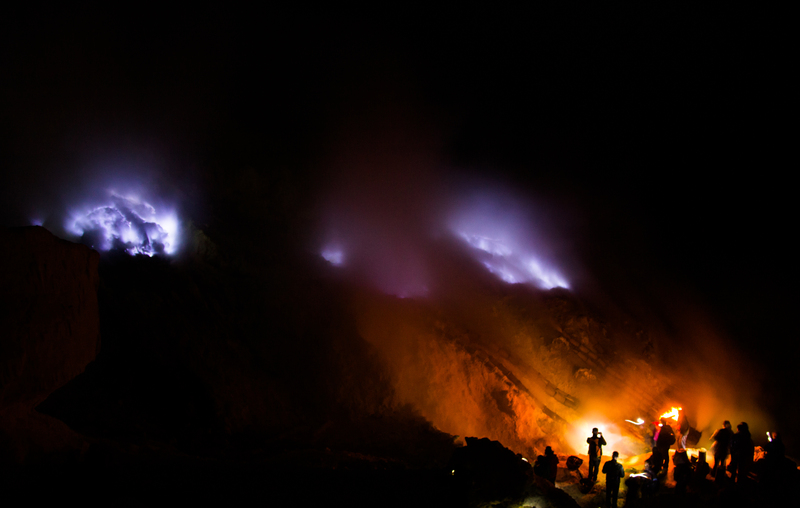 From the crater rim, providing you gas mask, we will bring you down to see the blue fire right on the edge of the acidic lake (temperature of the lake : +- 40°c; Ph: 0,5 ; max depth:+-200m). The laker is also the source for the river Banyupahit, resulting in highly acidic and metal-enriched river water which has a significant detrimental effect on the downstream river ecosystem. After enjoying the spectacular Blue Fire, we go back to crater rim to enjoy the sunrise over the entire volcanic area.